Comments: Evergreen broadleaf native to Queensland in Australia. Dark green leaves and mauve to purple cherrylike fruit. 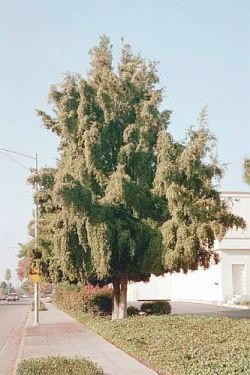 Forms a 30' to 40' tree with gray bark and weeping habit to the branchlets.